In this chapter, we take a look at the necessary ingredients for a BDA system: the standard libraries and toolkits most useful for building BDAs. 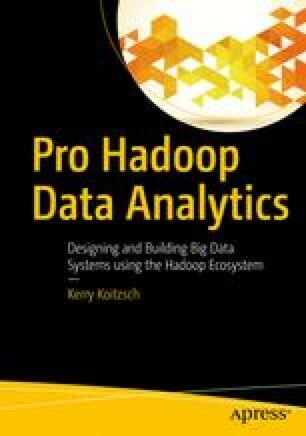 We describe an example system (which we develop throughout the remainder of the book) using standard toolkits from the Hadoop and Spark ecosystems. We also use other analytical toolkits, such as R and Weka, with mainstream development components such as Ant, Maven, npm, pip, Bower, and other system building tools. "Glueware components" such as Apache Camel, Spring Framework, Spring Data, Apache Kafka, Apache Tika, and others can be used to create a Hadoop-based system appropriate for a variety of applications.